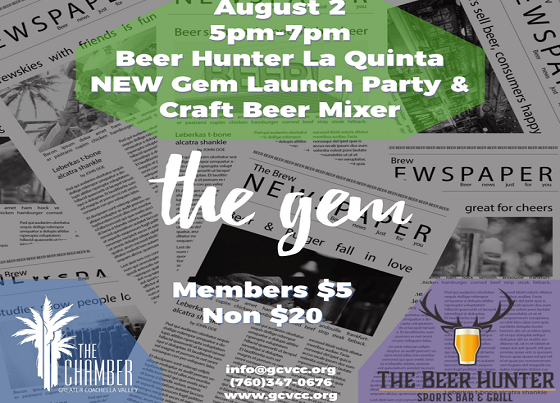 Members and the community are welcome to join us for The Gem Launch Party & Craft Beer Mixer at The Beer Hunter on August 2, 2017 from 5 PM to 7 PM. GCVCC Members are $5/ Non $20. 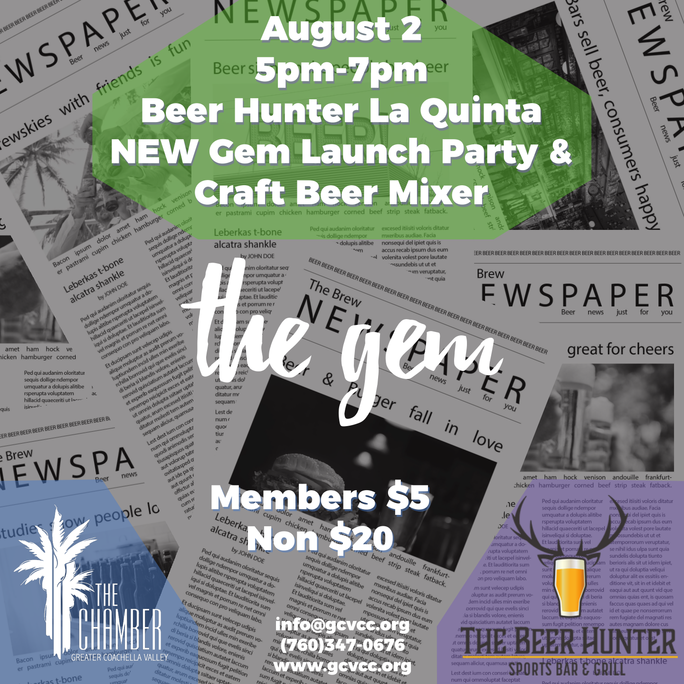 Attendees will enjoy networking, light appetizers and sample The Beer Hunter’s new craft beer options while we reveal the new look and style of The Gem. This chamber publication features all things La Quinta and reaches every resident and business monthly in the city, known as The Gem of the Desert. A recent study revealed that 79% of La Quinta gets their news from The Gem. The publication is chock-full of City happenings, events, services and programs as well as helpful articles, how-to’s and top 10 lists from local member businesses along with member advertisements, keeping the community up to speed on the latest and greatest.